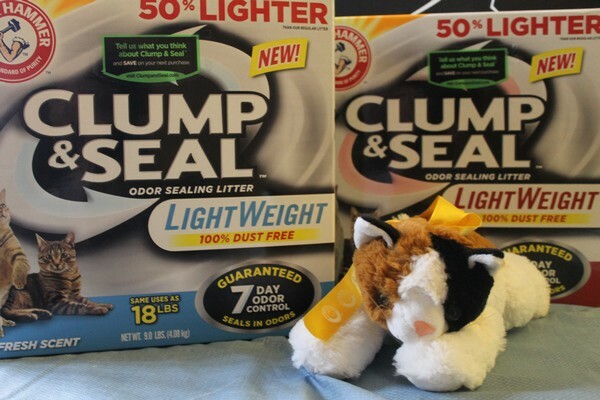 I received Arm & Hammer Clump & Seal in exchange for an honest review as part of the Smiley360 Blogger Program. All opinions belong to me and my cats. Aforementioned cats would like me to add that since I am not fluent in cat, they take no responsibility for any meows lost in translation. Ah, the litter box! It’s the best part of having a cat, isn’t it? Bending over with an aching back every day to scoop out another creature’s waste, it’s EXACTLY why I got my first cat! I couldn’t WAIT to start scooping! In case my own “meows” are lost in translation, I’m using my sarcastic voice there. Sometimes even my son can’t tell the difference between my sarcastic voice and my super enthusiastic voice. I’ll work on that. The truth? We can’t stand cleaning out the litter box. It’s the worst part being owning being owned by a cat. One cat makes a stinky box all on her own. Three cats? You HAVE to clean that box every single day, otherwise, gross. We keep our litter box in the laundry room, so it’s out of the way. Technically, I only have to look at it every two weeks, when I spend 16 hours in the room catching up on my mountain of laundry. Still, if the box is gross, the house feels gross. Plus, the cats won’t go near it. Can’t blame them! Would you want to use a bathroom that hasn’t been flushed in days? I’m terrified of porta-potties, partially for that reason. No telling what lives in that mess! With a bad back (which I am convinced stems from falling out of trees as a kid, I DO NOT have cat-like grace! ), lifting heavy boxes of litter is literally a pain. Scooping super heavy clumps makes my carpal tunnel cry. So I, of course, am in love with Arm & Hammer Clump & Seal Lightweight. I mean, as in love with cat litter as I can be, anyway. 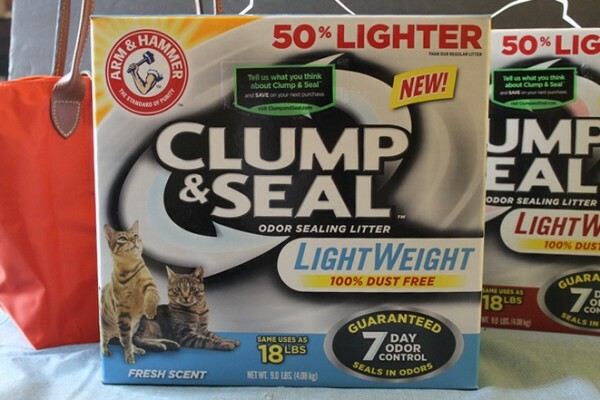 Arm & Hammer Clump & Seal Lightweight is exactly what you would expect from Arm & Hammer Litter, except it’s a whole lot lighter. How much lighter? Why, I’m so glad you asked! I have a picture! If you can’t see the picture for whatever reason (or if your math is as bad as mine) it’s 50% lighter, to be precise. Yet it lasts as long- and works as well- as its 18-lb counterpart. 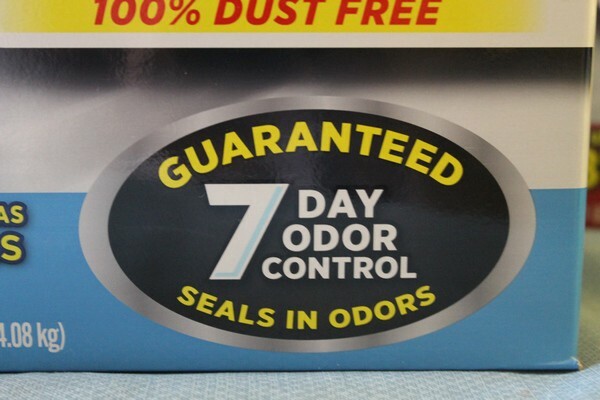 In fact it’s guaranteed to control odors for 7 days! As someone with allergies, keeping the litter box dust down is important. I’ve seen other lightweight litters in action. Some of them can be very dusty. Like “wear a mask when you clean the box” dusty. 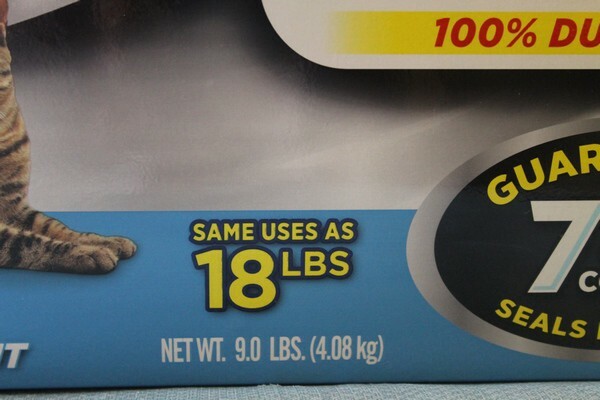 I was SO happy to see the 100% Dust-Free label on Arm & Hammer Clump & Seal Lightweight Cat Litter. But did it live up to its promise? Yep! Of course it did, it’s Arm & Hammer! They always keep their word! My oldest cat is turning 19 this year, so we’ve used a lot of different litter brands over the years. 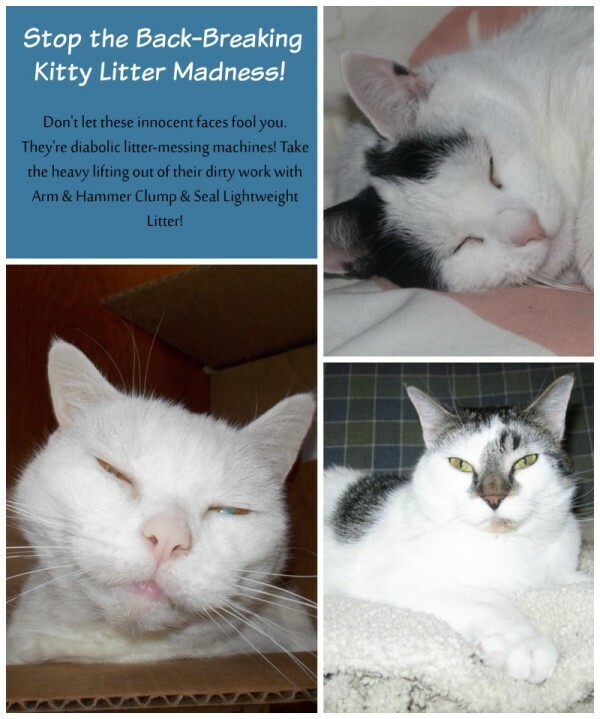 Arm & Hammer has always been one of our top two choices when standing in the litter aisle. Now, I’ll happily reach for the Arm & Hammer Clump & Seal Lightweight Cat Litter because I CAN reach for it and easily take it off the shelf without grimacing in pain. I can also carry it from my car to my door while lugging other groceries. LOVE this, because I’m one of those people who would rather break her arm carrying 50 bags at once than make multiple trips. Ready to give it a try? Grab a $2 off coupon and head to your nearest Walmart (where I got mine!) to pick up a box today! Like Arm & Hammer on Facebook to keep up with news and more special offers. We talked about the worst part of being owned by a cat, now tell me your favorite part! What do you LOVE most about your kitty? I know what you mean about carrying heavy back breaking kitty litter! I need to try this new amazing kitty litter and it says that it has the same uses as the regular. I think your cats are adorable! Aww, cute kitties! This is my favorite litter to use with my cat! It’s great for covering up odors and you don’t have to change it as much. My cat loves it. So, I’m glad to see you and your cats love it, too! 19 years old? Wow!